The three major families of unsaturated fatty acids are those of oleic acid (n-9), linoleic acid (n-6) and linolenic acid (n-3). 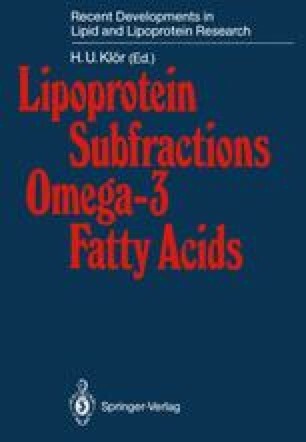 Linoleic and linolenic acid, the 18-carbon essential fatty acids obtained from the diet, are converted through desaturation and elongation steps to the long-chain polyunsaturated fatty acids (PUFAs). The 20-carbon PUFAs, dihomogammalinolenic acid (DHGLA 20:3 n-6), arachidonic acid (AA 20:4 n-6) and eicosapentaenoic acid (EPA 20:5 n-3), derived from linolenic acid, are the precursors of the prostaglandin series 1,2 and 3, respectively.